My V Day...was well, just an ordinary day. Wait...no one's to be blame! I've been battling with colds for the past days...and the IT Guy's brother has been in the hospital for weeks now...he has acute renal failure...and is undergoing hemodialysis while waiting for a kidney donor. Friday evening we got a call from the IT Guy's sister about his brother 'not being well'. It turns out he is going through depression...and possibly a some transient medical psychosis...so the IT Guy has to stay at the hospital the entire Friday evening...and called me up Saturday morning and he can't pick me up. So, I spent my entire day in bed...and him at the hospital. I got up midnight of Saturday and Mom told me that he is home, and was resting in another room...I did not bother wake him up anyway. Sunday morning...seems better for both of us...and well, we did go out. We spent the entire day together...we dine out...watched Valkyrie and had dinner! It was wonderful. I'm so wanting to make a movie review here...but my meds is not letting me stay longer...so I guess, that can wait. Also, can anyone tell me who is hosting Fun Monday?! Looks like none has volunteered yet...I'd love to join fun again...well, found IT! Gattina, is this week's Fun Monday host...and she is asking us what shoes we wear at home! 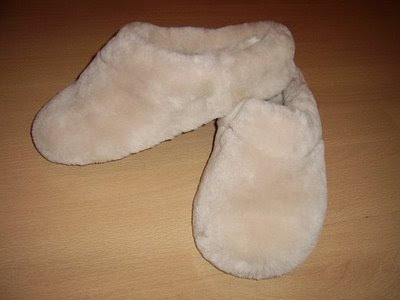 Mariposa always wear the furry soft thingy slippers at home...like this one! That would be all for now...have a great weekend everyone! And wish you ALL a FUN MONDAY...don't forget to visit Gattina to check what others are wearing! 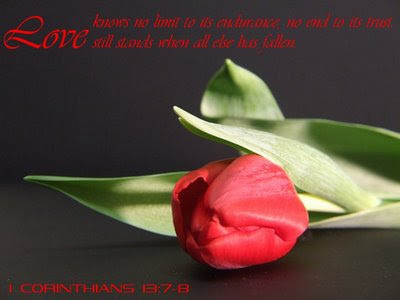 Love still stands when all else has fallen.